When a violent protest, mass-scale accident, or natural hazard unfolds, information tends to get jumbled, causing fear and confusion. With the growing use of technology, we have witnessed innumerable false and fake stories being shared on social networks, including photoshopped images, or reuploaded diced videos from unrelated events in the past. With increasing frequency, journalists are required to master the skills and expertise to handle the information that circulates on the Internet and elsewhere. 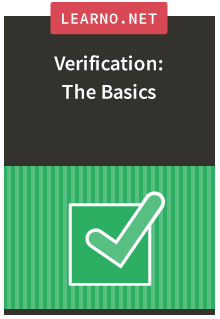 Complementing our recently launched resource, the Verification Handbook, this course will provide the basic knowledge and techniques of verification in the digital age. The mindset, values, and basic approaches of verification in the networked world. What open verification is, best practices, and some examples of how it’s being done. The challenges of verifying information during a crisis, with tips for preparation and training. The key techniques of verifying UGC, such as how to verify provenance, source, date, and location. Ethical considerations and how to ensure to protect your source. Appropriate crediting and labelling, including best practices for attributing the UGC you use. "I loved that every teacher seemed really passionate about their subject, and that every module while different was in touch with the other modules." "I had decent knowledge before, but it has grown proportionately to the hours spent on this course." In this course we introduce and learn to use some tools every journalist can adopt to produce graphics that can support or carry a story. The vast majority of stories published in the news have a geographical dimension: knowing and telling where something happened is part of good journalism.